One of the best little beer festivals in the entire state is set to take place once again Saturday, February 8 in Deland, Fla. The festival is the culmination of a week-long celebration of things craft beer. It began Friday, January 31 with a kick-off party at the Deland craft beer hotspot, the Deland Abbey with revels, prizes, trivia and more. But, that was just the beginning; there is plenty of time to partake of the many events that lead to Saturday’s main event, The Deland Craft Beer Festival. DeLand Craft Beer Festival VIP ticket holders will gain access to the VIP Rare and Vintage Pairing Party on February 6 where they can enjoy rare and vintage beers paired with specially created tapas from area restaurants. Other DeLand Craft Beer Week events include the Art of the Beer Label exhibition and reception, Beer Trivia night, homebrew competition and reception, beer scavenger hunt, a “Meet the Reps” reception, DeLand Craft Beer Festival after party and the Hangover Brunch. 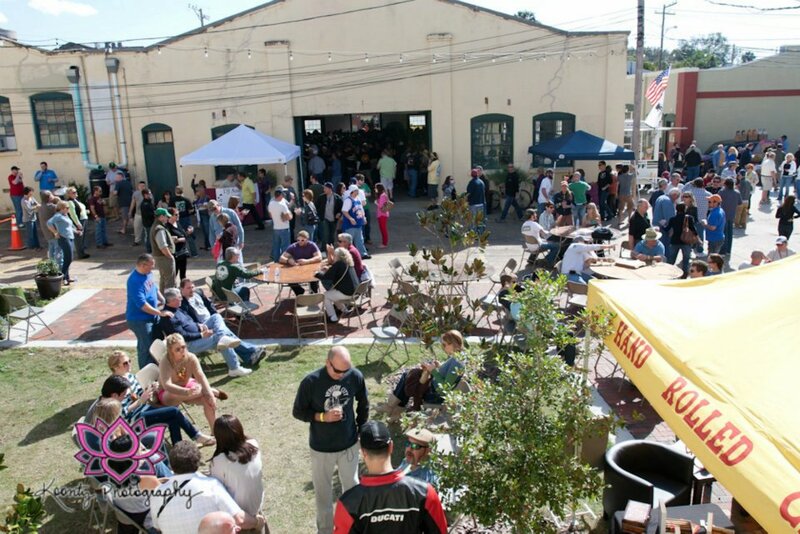 But, the main event of the week takes place in Artisan Alley in downtown Deland: the Deland Craft Beer Festival. 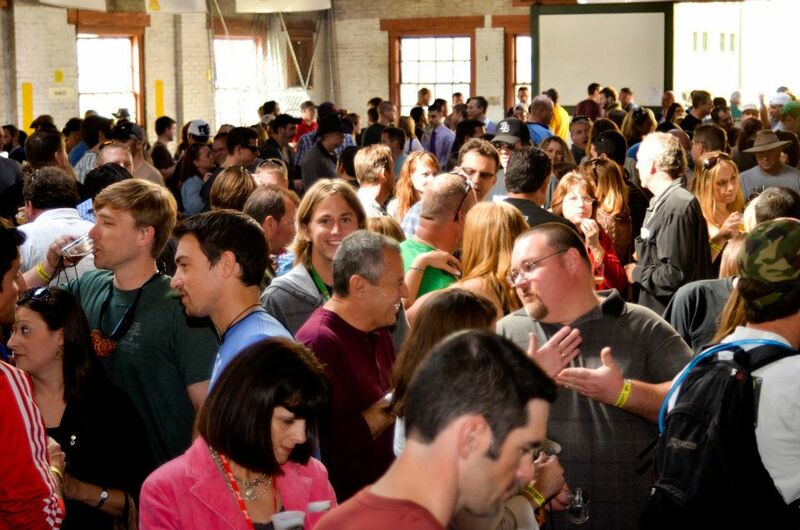 This year’s event will feature over 100 breweries, including 25 Florida breweries. Just like year’s past, there will be a rare and vintage beer table and casks along with tastes from some of the best craft breweries in the nation. In addition to these great beers, this year festival-goers can enjoy a cider corner and a gluten-free beer station. To keep beer-lovers in the know, educational breakout sessions will be held throughout the festival featuring speakers from Sanford Homebrew Shop, Cigar City, Terrapin and New Belgium. And, to keep the energy high, entertainment will be provided by The Rubublik band and there will be live art by Paleface. General admission tickets for the DeLand Craft Beer festival are $35. A limited number of VIP tickets are available for $55, and includes admission to the VIP Rare and Vintage Paring Party. Tickets may be purchased in person at DeLand Abbey (cash only), 117 N. Woodland Blvd., Deland; McK’s Tavern (cash only) 218 S. Beach St., Daytona Beach; Mermaid Juice (cash only) 458 N. Highland St., Mt Dora: and the MainStreet DeLand Association,100 N. Woodland Blvd. Suite 4, DeLand. ; or online at: www.delandcraftbeerweek.com. Must be 21 to enter. No pets. No children, including infants. For more information: 386-215-1533, craftbeveragesales@gmail.com or visit www.delandcraftbeerweek.com. Funds raised at the festival benefit the MainStreet DeLand Association, a 501(c)3 nonprofit corporation. Event sponsors include, S.R. Perrott, Daytona Beverage, Brown Distributing, Conrad Realty, West Volusia Beacon, DeLand Abbey, Craft Beverage Sales and Marketing, Sierra Nevada, Warsteiner, Sam Adams, and Drink Like a Local. 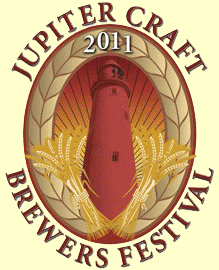 The 2013 craft beer festival season officially kicks off next week with the Jupiter Craft Brewers Festival Saturday, Jan. 26. Now in its seventh year, the festival will feature over 200 beers from 73 breweries. But, if you plan to attend, you may want to plan on arriving at Roger Dean Stadium early since all 1,500 online tickets are sold out and only 1,500 additional tickets will be available the day of the event at the door. Created in 2007 by Fran Andrewlevich the head brewmaster of Brewzzi a duo of American-Italian eateries in South Florida, the focus of the event is on brews from Florida. That is not to say that some of your other favorites will not be there – Blue Point, Dogfish Head, Brooklyn, and Highland will all be there. But, so will Florida brewers like Bold City Brewing from Jacksonville, Cigar City Brewing from Tampa, and Swamp Head Brewing from Gainesville. Attendees at the festival will also enjoy entertainment from local musicians and the return fo the popular Silent Disco. In addition to the beer festival, the organizers will feature for the second year Craftoberfest a German-themed celebration of beer, food, and music that will take place across the street from the main event. So, if you are not able to score tickets to the Festival, take heart. You can still attend the party at Craftoberfest for free. The event will feature a pay-per-beer beer tent, live oompah music from Sonnenschein Express, and German-style food. The festivities will take place at the Abacoa Theater from 2:00 p.m. to 7:00 p.m. The festival is actually the culminating event for the annual South Florida Craft Beer Week that features beer dinners, tap takeovers, and plenty of tastings. Beer Week events are spread out from Jupiter to Miami and there is sure to be something that will catch every beer-lover’s attention. For an updated list of all the events going on, follow this link. Tickets for the Jupiter Craft Brewers Festival are $35 at the door and will go on sale shortly before the gates open tot he event. All attendees must prevent a valid, government-issued ID for admission to the event. The festival hours are 1:00 to 5:30 p.m.